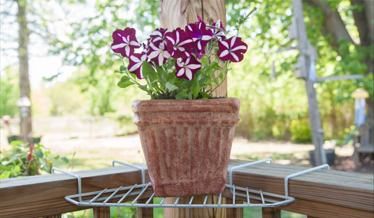 Home > Plant Lifts > Corner Planter Holder - 2" x 6"
Easily decorate the corner of your deck or patio with the Corner Planter Holder. 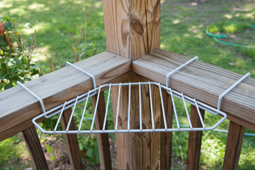 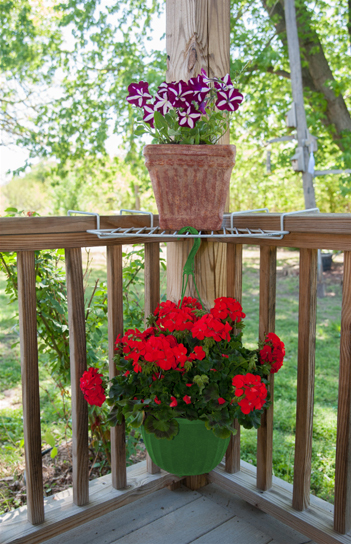 This inventive device grips onto any 2"x6" wooden rails, creating a space to place decorative accessories such as planters on the inside corner of your deck's railing. 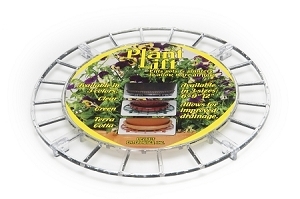 You can even hang planters from the grate, allowing you to decorate above or below the Corner Planter Holder.